Direction LIBOURNE on Highway A89/National road N89, exit LIBOURNE EST. You are on the ring road around Li-bourne(N89) direction to PERIGUEUX. 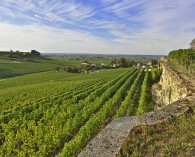 On this road are 2 exits to Saint-Emilion. Do not exit the first one ( SAINT-EMILION/BERGERAC), but the second one SAINT-EMILION on D243. You arrive to the North of the village. Then follow final instructions at the bottom of the section. D 670 via SAUVETERRE-DE-GUYENNE to LIBOURNE. Approaching Vignonet do not follow the sign SAINT-EMILION that would lead you to the South of the village, but follow direction LIBOURNE on D670 till crossroad with N89. Turn right on N89 direction PERIGUEUX, then right at the roundabout on D243 direction SAINT-EMILION. You arrive to the North of the village. In Libourne follow the sign SAINT-EMILION to arrive on D243. You arrive to the North of the village. Do not exit n°11 SAINT-EMILION COUTRAS, but exit n°10 SAINTES / ROYAN /LIBOURNE. Follow the sign N89 PERIGUEUX/BERGERAC. 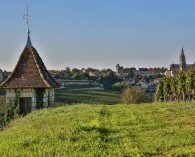 When on N89 exit SAINT-EMILION on D243.You arrive to the North of the village. Exit n° 26 direction LIBOURNE ; then refer to “From Bordeaux” instructions. You arrive to the North of the village, where the so-called roundabout “La Grande Muraille” officially Place Bourgeoise is located. At this round-about, the parking lot for buses is indicated straight on the D243 (direction SAINT-CHRISTOPHE-DES-BARDES), then on the right for the EspaceVillemaurine. This bus parking lot is paying with a single price for full day: 10 € from 10 am till 7 pm. They then join the Tourist Office on foot along Avenue de Verdun, around the Collegiale Church and the “Maison du Vin” building, and arrive on the Place des Creneaux, close to the bell-tower, where the tourist office is situated. 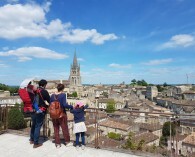 There is a second parking lot for bus which is free at the bottom of the city, atapproximately 1km of the city in front of the train station of Saint-Emilion. Comfortable and heel-free shoes are recommended for enjoying cobbled and sometimes steep alleyways in the city. Remember to tell us when booking if people in the group have difficulty getting around. For people in wheelchairs, visits are possible despite the relief of the city. However for a better reception and comfort of visit, inform us at the time of the reservation. The temperature difference between the cellars, the underground monuments and the outside is important (it is around 13 °), so a small sweater will be welcome during the visits. 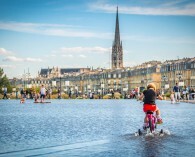 Vehicles with a width of more than 2 meters and a weight of more than 6 tonnes can not travel in the center of St Emilion and on certain roads near the city. The outside, and refer to the road and parking indications that we detail below. All tours and programs are accompanied by professional guides from the Tourist Office. Guidance can be provided in the following languages: English, French, German, Spanish (Portuguese on request). N.B. No rates increases for guidance in a foreign language. 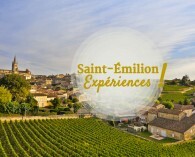 The private guided tours are for groups staying few hours in Saint-Emilion and do not plan to have lunch in the city. 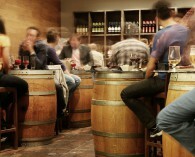 - The vineyards ( wine estates and prestigious wines). Bookings must be made by written confirmation, preferably email or fax. Upon receipt of your written confirmation, a booking form will be sent, final reservation will only be registered once we’ve received the contract signed AT LEAST 2 MONTHS before the tour. No option can be made. 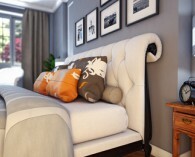 A deposit (corresponding to the guidance fees) is required when you sign the contract. The balance is due the day of the visit (except alternative arrangement).